In the US shale natural gas is now dominating pricing and supply. In Europe the knig had been Russia natural gas. Norway overtook Russia as the main supplier of the European Unionâ€™s natural gas in 2012 as stated by the chief economist for the British Petroleum Group chief said in unveiling a new energy report in Brussels. Christof RÃ¼hl, who is also a BP vice president, said that over the past 10 years, there have been two trends â€“ the rapid growth of shale gas production in the United States and the rapid growth in liquefied natural gas trade. In the last year, shale gas production continued at a slower level, and LNG trade suddenly declined. What emerged behind these trends was a "very interesting interfuel competition between coal and gas," RÃ¼hl said. Globally gas consumption rose 2.2% faster in 2012 compared to a year earlier, but below the long-term average. The growth is largely US-driven, as gas consumption in the worldâ€™s largest economy has increased more than in any other region of the world. At the same time, the EU and the former Soviet states have registered the largest regional declines in gas consumption, said RÃ¼hl, who presented BPâ€™s 2013 edition of the Statistical Review of World Energy. In terms of regional gas prices, a record decline was registered in the US while hitting an all-time high on the Japanese market to compensate for the closure of nuclear reactors following the 2011 Fukushima disaster. On the European spot market, prices increased, although not as high as in Japan. Natural gas pricing will continue to fluctuate for the next several years as the following situations play out: Rising US and Canada production and lower prices, LNG pipelines leading to better distribution to places in the world where natural gas is scarce and prices high, and how governments respond in terms of tariffs and other barriers. In the US, drilling activities have shifted from shale gas to shale oil, because gas prices fell while oil remained expensive. RÃ¼hl illustrated this shift with figures, the increase in shale gas production in the US having been 84 billion cubic meters (bcm) in 2011, compared to an increase of only 10 bcm in 2012. What happened in the EU is exactly the mirror image of the US developments, RÃ¼hl said. With increasing Asian demand, Europe did not compete for LNG and its imports to Europe fell by 25%, he said. "That should have been good news for traditional gas exporters to the EU, Norway and Russia," RÃ¼hl said. He added that they could have raised their prices, but this didnâ€™t happen, as they were faced with competition from an unexpected quarter â€“ cheap coal. The BP chief economist explained that the coal that was used in US power generation was now available for Europe, cheap enough to compare with natural gas in Europe. On average, generating power in Europe is 45% cheaper with coal rather than with gas, he said. In global economics natural gas, oil and coal are in constant competition driven by price and demand. As Russiaâ€™s gas prices remained tied to oil prices, and as Norwayâ€™s had left this system of indexation, imports from Norway rose 12%, while imports from Gazprom fell 10%. And 2012 became the first year when Norway sold more gas to the EU than Russia, RÃ¼hl said. RÃ¼hl said the increased use of coal had a negative impact on Europeâ€™s carbon emissions, but the problem remained more serious in China, which is consuming half of the worldâ€™s coal for the first time. A substantial increase of carbon emissions also is taking place in Japan, he added. All this while US and Europe CO2 emissions declined last year. In Europe it is perceived that emission reduction is driven by policies. In the US it is more likely to be driven by supply, demand and pricing. For further information see Norway Natural Gas. 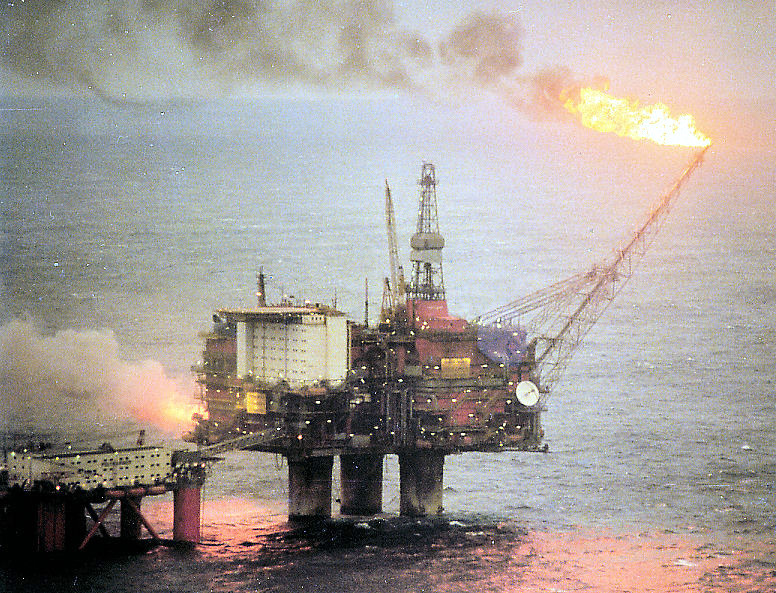 Norway Oil Rig image via Wikipedia.